The Personal Message or Tribute you write. Sample Tributes can be found here. 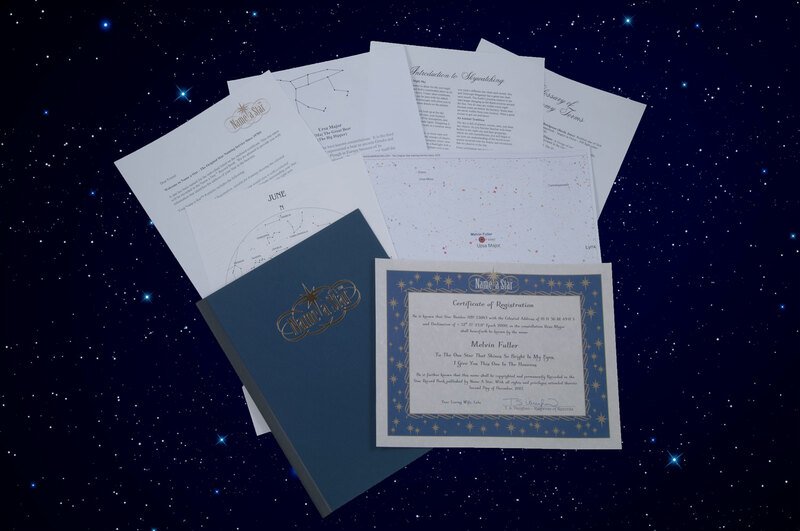 Certificate of Registration customized with a personal message or tribute that you write. 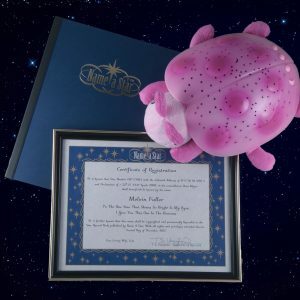 The Custom Star-Naming Package is $49.95 plus shipping. We use this service very often when one of our clients passes away. Tonya always e-mails me a confirmation of my request and in two days I have a beautiful package for a client whose loved one has died. Our clients are blown away at how quickly we do it and they are overwhelmed at how truly thoughtful the gift is. They can literally look to the heavens and be comforted. Our clients always call us in tears, but out of sincere thanks and gratitude and we could not do this without Tonya. Thanks for your kind review. It is our pleasure to help you bring joy to your clients. Thank you for the fast delivery and great product! I love these! 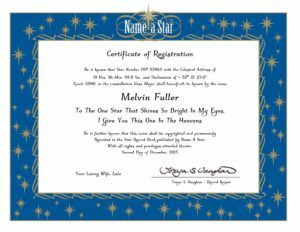 I’ve purchased a star for a few loved ones. 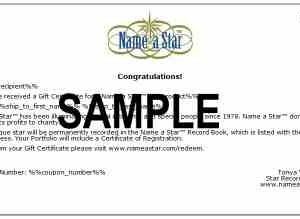 They are a fun and unique way to give a thoughtful gift that really makes the recipient feel special- it’s always been a winning gift when given! 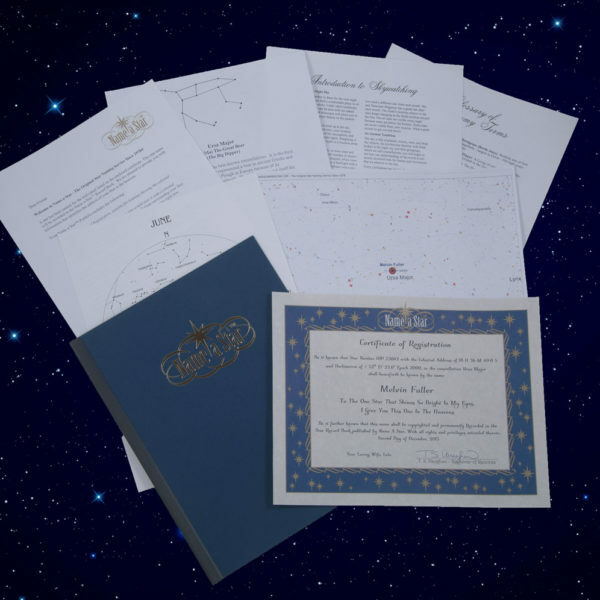 I’ve looked at several options for purchasing stars and the folks at Name A Star are always so helpful (and knowledgeable – just talk to Tonya!) and it’s really nice to know that this company has been doing this longer than any other out there and I can trust that I will receive what I’ve ordered and quickly!! 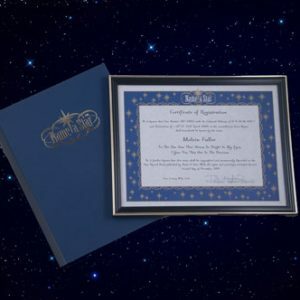 I also love the look of the certificate and the additional information that comes in this package to locate your star. I highly recommend this product and this company! Thanks for the compliment. We work hard to make sure all of our customers are happy every time.